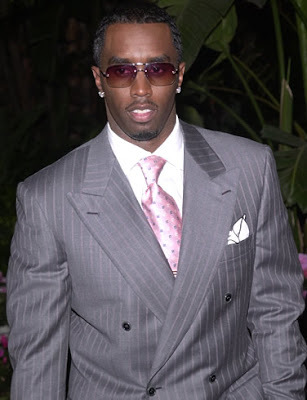 The Black Hollywood File: DIDDY STEPS OUT ON WARNER BROS.
DIDDY STEPS OUT ON WARNER BROS.
After spending five years at Warner Music Group/Atlantic Records, Sean "Diddy" Combs confirmed to Billboard that he is exiting his exclusive deal with the company at the end of September. A new, not yet officially announced deal is in place, according to his spokeswoman. The joint venture with Warner Music Group for the current roster and catalog of Combs' Bad Boy label will remain in place. "Now that the term of the Warner deal has ended, I have elected to accept an opportunity to move my recording career and future label venture to another company," Combs said in a statement. Combs' spokeswoman would not confirm which label he will be partnering with, though reports have said a deal is in place for his next album, "Last Train to Paris," to be released by Interscope Records. The single album Diddy released through the WMG agreement, 2006's "Press Play," has sold 703,000 units to date, according to Nielsen SoundScan. Labels: DIDDY STEPS OUT ON WARNER BROS.